Police are hoping surveillance video might jog the memory of someone familiar with the thief. 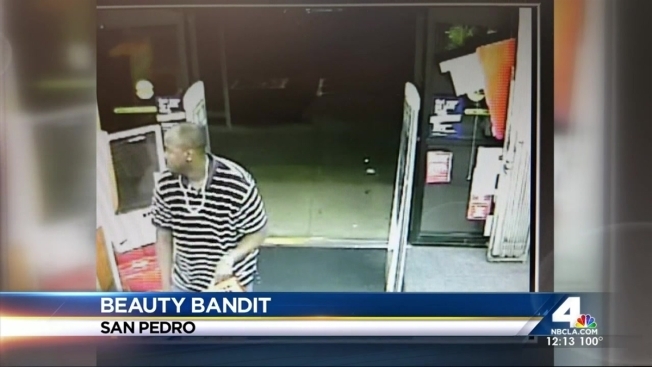 Swiping teeth whitening strips from a San Pedro store was apparently not enough for a crook with a hankering for beauty products. Police say minutes later, the man jostled out of another store carrying two shopping baskets full of Rogaine. The thefts occurred on the night of Aug. 22, and police are hoping surveillance video might jog the memory of someone familiar with the thief. The man, dressed in sneakers, blue jeans and a black-and-white polo, grabs two shopping baskets on the way in to a Target in San Pedro. Less than five minutes later, he can be seen sprinting through the exit with baskets filled with Crest whitening strips. The thief then walks into a CVS Pharmacy at 311 W. Pacific Coast Highway within the hour. He again grabs two baskets, then runs away with Rogaine in tow. Anyone with information was asked to call the Los Angeles Police Department.